Back in November I had the chance to take the AT&T BlackBerry Priv for a spin and was very disappointed in the hardware quality and sub-par BlackBerry Hub experience. 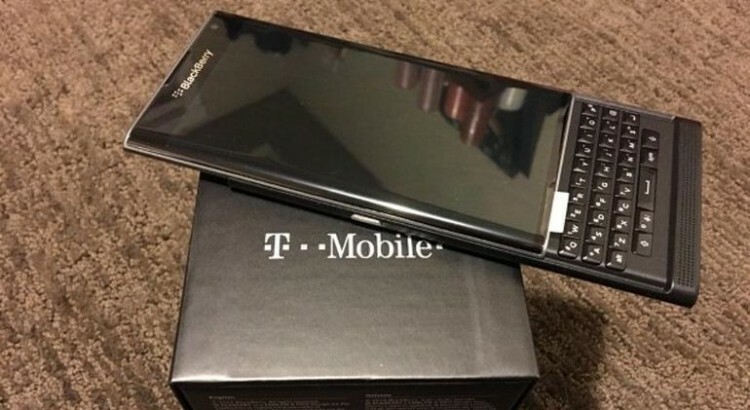 T-Mobile just released the BlackBerry Priv and the enthusiastic Des Smith sent me one to test out for a couple weeks. Thanks to software updates over the last couple months, a deeper dive with the Priv serving as my primary smartphone for a week, and a much more solid piece of hardware, I’m considering a swap from my Passport to the Priv. One of my biggest disappointments with the first Priv I tested was the functionality of the BlackBerry Hub. As I have stated many times in my Passport articles, the Hub is one of the primary reasons to use a BB10 OS device. I’m not sure if I had set it up incorrectly or if some of these software updates since the Priv release fixed the issues I saw back in November, but the BlackBerry Hub on the Priv is now functioning much like we see on BB10 and I couldn’t be any happier. If you recall, I couldn’t even get my Gmail account added to the Hub on that first Priv so there were definitely issues back in November. The BlackBerry Hub on Android serves as a fantastic central communications utility and I only found issues with Facebook and Twitter. These connections take you out to the apps with a couple back button presses needed to get back to the Hub. Other connections keep you in the Hub and it is wonderful to color code the different services and then quickly manage communications right from the Hub. If rumors prove true in a couple of weeks Apple will announce a 4-inch iPhone. The smallest iPhone, the iPhone 6s, has a 4.7-inch display and as ZDNet’s Jason Perlow states in his post there are plenty of folks who like the smaller phones and are tired of the 5-inch and greater line-up that has become the new standard. For years, Sony has stood out as a major manufacturer offering a smaller version of its flagship line with very few compromises. I’ve been testing out the Sony Xperia Z5 Compact that is now available for purchase in the US from Amazon, B&H, and Best Buy. The one major difference between the US model and the model available around the world is the removal of the fingerprint sensor from the power button. I owned an Xperia Z3 for about a year and absolutely loved the phone. I switched when it was apparent that T-Mobile gave up on the phone and Sony didn’t care to provide any updates. However, I still loved the audio capabilities, water resistance, long battery life, and more. People generally expect just a single full day out of their modern smartphones, but thankfully this continues to be one area where Sony excels. The Sony Xperia Z5 Compact packs a 2,700 mAh battery and can go for a couple of days between charges. You don’t see many MP3 players around as people primarily use their phones for music. 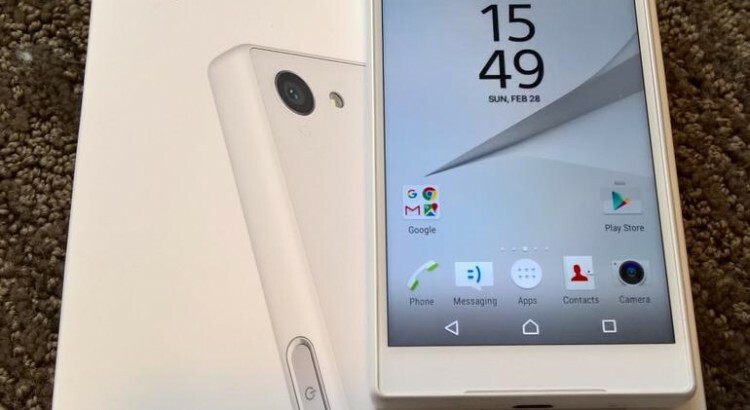 Like its predecessors, the Sony Xperia Z5 Compact supports high resolution audio and it sounds fantastic. There are also great sounding front facing stereo speakers and a FM radio on board for the ultimate audio experience. As you can see, the specs are top notch with the the only compromise being the 720p display and 2GB of RAM, when compared to current flagships. It’s a bit thick, but the overall size is so compact that I’m willing to give up a bit in thickness for long battery life and solid performance. The camera is good and performs well, but the cameras on the latest Samsung and LG phones are better. Sony has always done well, but leave me looking for a bit more in order to be great. Sony cameras should be amazing, but they still fail to blow me away. In typical fashion, the wireless carriers quickly send out press releases announcing pricing and availability after major manufacturers launch new mobile devices. 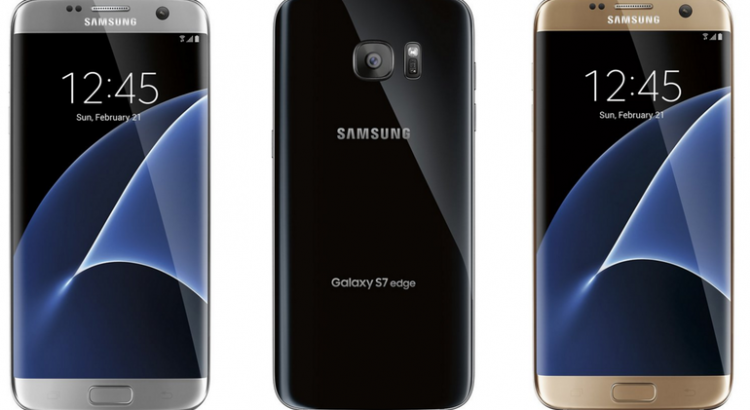 Samsung announced the new Galaxy S7 and S7 Edge today at Mobile World Congress. Customers can place their pre-order for one of these new phones starting this week, on February 23rd. We don’t yet know when the devices will start shipping, but the official Samsung pre-order offer includes a free Gear VR, powered by Oculus. This is normally a $99.99 accessory and after using mine for a couple of months it is an amazing piece of gear that offers an enjoyable VR experience. In addition to the free Gear VR headset, T-Mobile is including a 6-game VR game bundle and a year of free Netflix. I received a free year of Netflix when I bought my Samsung Galaxy Note 5 in September. You can enjoy Netflix content through the Gear VR. This T-Mobile and Samsung bundle has a value of $250. The Galaxy S7 is priced at $669.99 and the Galaxy S7 Edge is priced at $779.99. These both come with 32GB of internal storage. The S7 will be available in black onyx and gold platinum while the S7 Edge has the additional silver titanium color option. AT&T posted pricing and DIRECTV integration details following the Galaxy S7 and S7 Edge announcement. These are the first devices from AT&T to offer a more integrated DIRECTV experience, including using your phone as a remote for TV content at home. The Galaxy S7 is priced at $695.10 and the S7 Edge at $795. You can break up the total price into 30 equal monthly installments through AT&T Next 24. AT&T is offering the same colors that T-Mobile is offering for both models. Over the last couple of years LG has been releasing amazing flagship smartphones, but it tends to get little respect for its efforts in a crowded Android smartphone market. The LG V10 is arguably one of the best smartphones of 2015, yet I’ve yet to see one out in the public. LG acknowledges the competitive environment and with its new LG G5 modular smartphone it looks to stand out from all the others with smart accessories and connected devices. With the removable battery, removable microSD card, metal uni-body design and modularity, the LG G5 may be the best enterprise Android smartphone available in 2016. Let’s take a closer look at the first smartphone accessories and smart connected devices for the LG G5. The connected companion devices are part of the new LG Playground ecosystem and are known as LG Friends. Back in 2013, Nokia launched the Lumia 1020 with the Camera Grip accessory that added extra battery capacity, a traditional camera shutter button, and a form that made the Lumia 1020 feel like a traditional digital camera. The LG Cam Plus module slides into the battery slot to deliver a similar experience. It provides an additional 1,200 mAh battery so you can shoot more photos and video while extending out the back of the LG G5 with buttons for power, shutter, record, and zoom. The module is designed to provide a much better grip for capturing photos and videos. LG’s V10 offers 32-bit hi-fi audio with an integrated DAC and amp by ESS Technology. 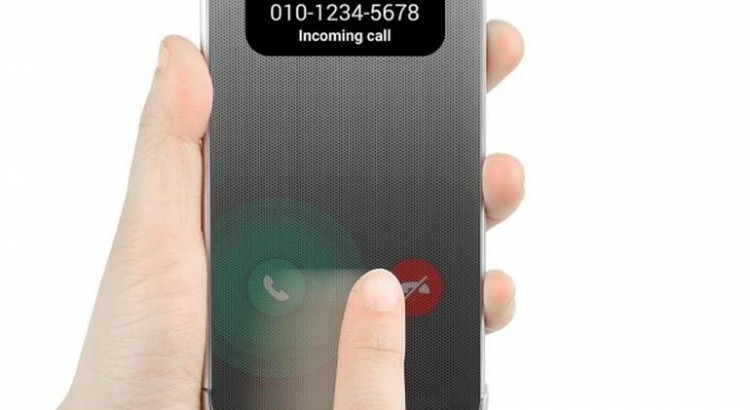 For the LG G5, LG partnered with Bang & Olufsen to offer similar functionality for this new smartphone through an expansion module. You slide out the bottom battery module, place the removable battery into the B&O Play module and then slide it back into place. The LG Hi-Fi Plus with B&O Play, say that several times in a row, extends the bottom of the phone about an eighth of an inch. The new 3.5mm headphone jack powers the integrated digital-to-audio converter in the module. You won’t notice much of an audio improvement with the LG Hi-Fi Plus with B&O Play without a pair of advanced headphones that support Hi-Fi audio. The upcoming H3 by B&O Play is a set of earphones designed to provide this high end audio experience. 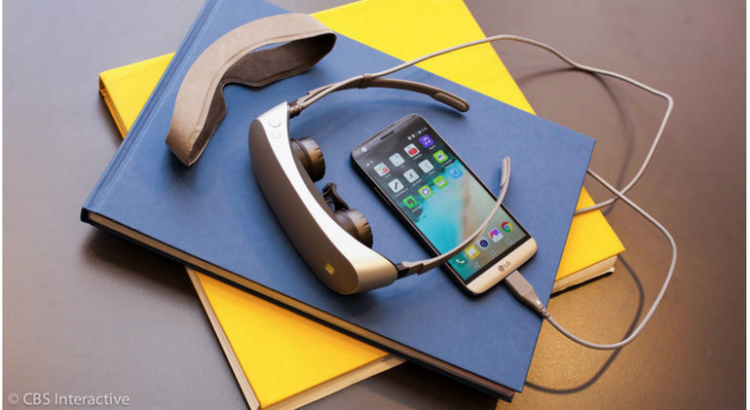 The headphones work with all Android smartphones. To get the best experience here you will need high quality audio and headphones to match. This accessory is specifically targeted to the audiophile, but as more and more of us use our smartphones for enjoying music an accessory approach to this advanced audio functionality makes sense. Check out the CNET image gallery of several of these accessories being shown at MWC. Samsung kicked off the smartphone virtual reality ecosystem with its Gear VR powered by Oculus. In 2016 we are seeing broader adoption of VR, including with the new LG 360 VR that connects to the LG G5 through the USB-C port. THe LG 360 VR is much more compact than the Gear VR with a foldable design. I like that the LG 360 VR connects to the LG G5 through a cable rather than requiring the phone to be mounted inside and then on your face. Samsung mounting approach adds an element of risk to dropping your phone while setting it up while LG’s 360 VR simply plugs into your phone that you can keep in your pocket or on the desk. While the camera in the LG G5 is one of the most advanced available, the LG 360 CAM is a connected accessory that provides you with the capability to record 360-degree angle content. The LG 360 CAM has two 13 megapixel 200-degree wide angle cameras, a 1,200 mAh battery, 4GB internal memory, and a microSD card slot. The LG 360 CAM provides 2K video and 5.1 surround channel recording that you can then use to enjoy on your LG 360 VR headset. BB8 was a hit in the new Star Wars: The Force Awakens movie and the resulting BB8 remote control robot appealed to people with its smartphone control functionality. LG is offering the LG Rolling Bot as a companion device that serves as a way to capture images and video in various scenarios. You can use the LG Rolling Bot for home monitoring, keeping an eye on pets and kids, and as a remote for compatible home appliances. The camera connects via Wi-Fi so you can remotely monitor with the LG G5. LG is known for its around-the-neck Bluetooth headsets, check out my experiences with the LG Tone Active, and the latest model continues to offer an enjoyable audio experience. The LG Tone Platinum, model HBS-1100, is the world’s first Bluetooth headset equipped with aptX HDcodec, providing lossless 24-bit audio wirelessly. Drone license applications have gone through the roof as people quickly adopt the use of drones. The LG Smart Controller allows you to use your LG G5 to control compatible drones (not yet specifically identified). With the LG Smart Controller you can check your drone video stream on the LG G5 and control the drone with the Smart Controller joystick. Pricing and availability for these accessories has not yet been revealed. Thanks to my role here at ZDNet, I get the opportunity to test out a ton of mobile devices and accessories. The first case brand I look to when buying a new phone is Urban Armor Gear (UAG). Every single person I have recommended these cases to has been happy and I have yet to be disappointed with the performance of these protective cases. As a daily train commuter working in downtown Seattle, I carry a transit pass, office access card, driver’s license, and debit card (not yet supported by Apple Pay). My wallet gets put into a coat or pants pocket about once a month that ends up being left behind during my daily commute. I then need to purchase a daily transit pass and call someone at the office to let me in. My phone is always with me, but my vital cards are not. 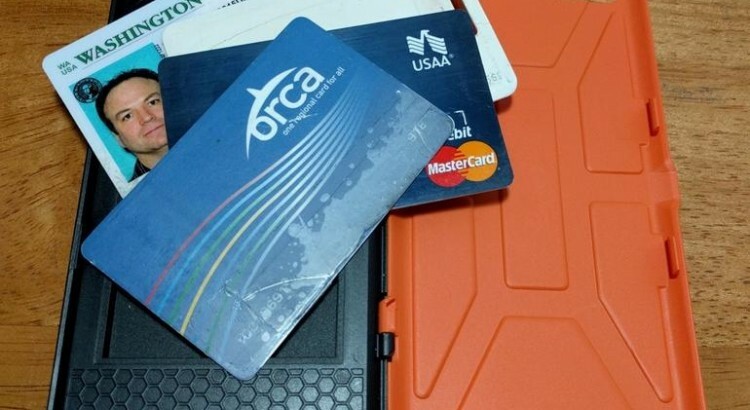 I’ve tried other wallet cases in the past, but the open top, folding folio design, or other feature always resulted in my leaving the case behind as I slipped my iPhone into an attractive UAG Composite case. When I saw Urban Armor Gear announce its UAG Trooper card case for the iPhone 6s Plus, I knew I had to take it for a test drive. UAG sent along its rust (orange) and black models for me to test out and I am very pleased to say that these cases lived up to the hype and are my absolute favorite iPhone 6/6s Plus cases currently available today. These cases are also available for the iPhone 6/6s for $5 less than the 6/6s Plus variants. The iPhone 6/6s Plus cases are $44.95 and are available in rust (orange), black, and white. These new UAG Trooper cases are very similar to the Composite line, check out my image gallery with a couple of comparison images, with the soft rubberized top and bottom, oversized tactile buttons, hard protective outer shell, and easy port access. The key addition is a bit of thickness to accommodate up to four cards accessible via a secure locking back door.